Ulamog, the Infinite Gyre ($19.99) Price History from major stores - Rise of the Eldrazi - MTGPrice.com Values for Ebay, Amazon and hobby stores! 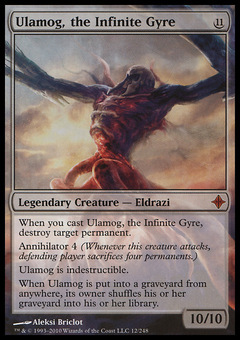 Card Text: When you cast Ulamog, the Infinite Gyre, destroy target permanent. 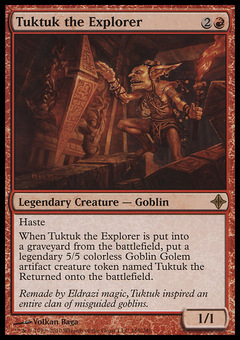 Annihilator 4 (Whenever this creature attacks, defending player sacrifices four permanents.) Ulamog is indestructible. When Ulamog is put into a graveyard from anywhere, its owner shuffles his or her graveyard into his or her library.